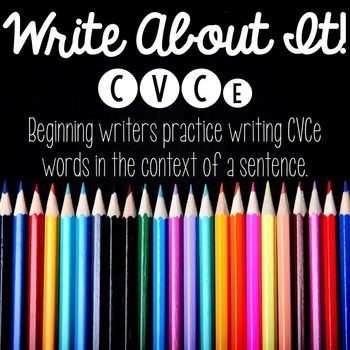 Help your beginning readers and writers practice putting their phonics skills to use by composing simple sentences with this CVCe writing practice, Write About It! Applying and using skills in context is key for emerging readers and writers, practicing skills in isolation is not enough! 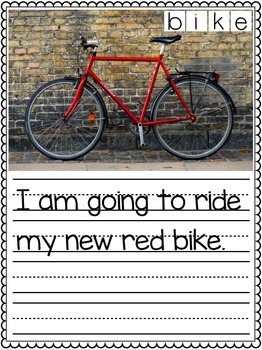 These 16 practice pages include real pictures for high engagement, an opportunity for students to spell CVCe words, and then use those words in a sentence they compose themselves about the picture. Blends and digraphs Write About It sets are coming soon! Follow my store to find out when they are posted, because as always they will be 50% off for the first 48 hours! CVC set available in my store!